Windows 7: Export Outlook Express XP into Outlook 2007 Windows 7? Thanks, It seems I can import the OE files, as you described. My challenge is that I don't understand if it is going to mix it in with the account I already have in Outlook. I am now trying to figure out how to have two seperate accounts with Outlook. Thanks again for the help! My challenge is that I don't understand if it is going to mix it in with the account I already have in Outlook. I'd imagine that'd be a sure bet. However you can make a copy of the message store archive(s) first, enabling you to revert if necessary. Well I am following this lead, and I will attempt to archive the account i curretnly have in Outlook (which is my personaly one). I would like to then delete the files and import the OE ones (which is the work account). Can anyone suggest a mail program I can then open my archived Outlook (personal) files? 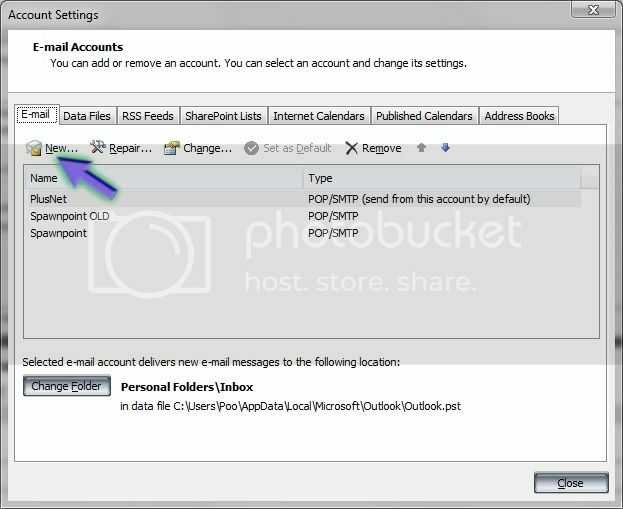 you can have two different email accounts in outlook 2007, you just make a rule and it will dump all email from whichever account into a folder. +1, just keep the two accounts seperated, inbound filters will do that job. I guess that is the part I am trying to wrap my head around. I want Outlook to behave as if it was two seperate email accounts with two seperate programs. I do not have an Exchange server. I used to do this with Outlook and Outlook express. I certainly am comlicating it by wanto to switch wich accounts I am using with each program. With everyone's help I seem to have the OE to Outlook 2007 worked out. I now need to figure out how to go Outlook 7 or Outlook 2003 (from my old PC) into another mail program. Again, I am having a rough time with understanding how Outlook 7 with both mail programs would behave the way I am used to. I think the Rule might help split them comming in, but as far as sending from the right account, that might be a little confusing. Am I over-thinking this? A nice easy way to copy mail from outlook express to Outlook and vice versa is to first create some folders to manage the mail. 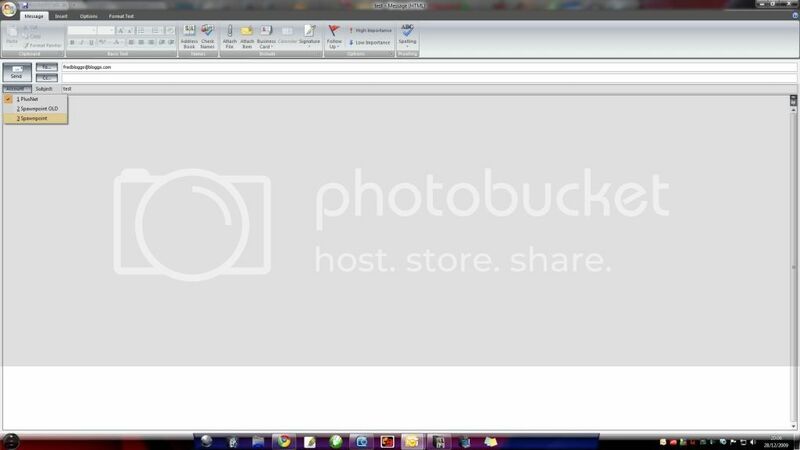 Then open Outlook Express .... copy the files to the relevant folders using drag and drop. Once completed open Outlook and then drag and drop back into the relevant folders created in Outlook. As Qdos & ccatlett1984 says you can have multiple accounts set up with no problem. And just use filtering/rules to put the mail in the correct folders automatically as they come in. And when sending mail you can choose which account to send it from. 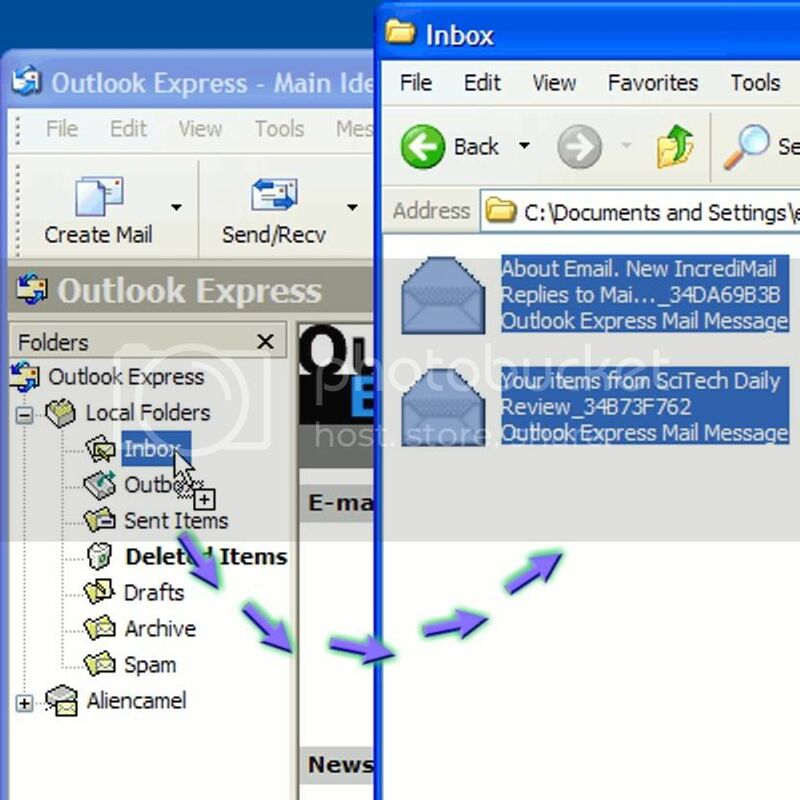 How do I import/export emails from Outlook 2007 to Windows Live Mail? Export Outlook Express WinXP to new comp Outlook2007?